CCMS-PRO "Choke Control Monitoring Systems"
CCMS-PRO “Choke Control Monitoring System” is a tried and proven system. In use on all rig types, from the high spec drillship to truck mounted land rigs the system is rugged and simple to operate, yet has the power and flexibility to be extended to handle all situations. 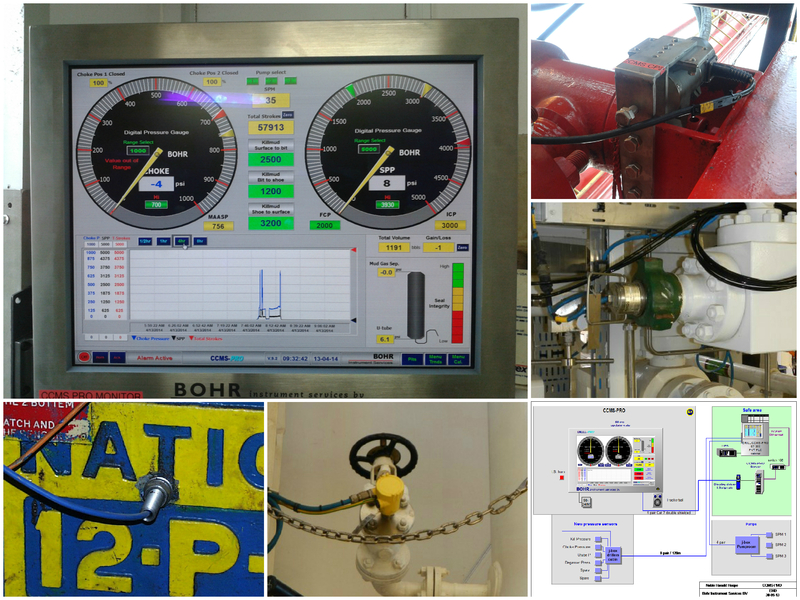 CCMS-PRO has Choke, Kill and Standpipe pressure data combined with an integrated Liquid Seal Monitor and SPM and stroke counter system. This in combination with very accurate and automatically scalable gauges with the trend and alarming module, all small changes can be notified in a split second. An 19” Exi drillers-monitor installed at the Choke Control Unit, controlled by a stainless steel industrial quality trackball gives a clear, crisp display even in bright sunlight. The unit is Atex certified for use in a hazardous area.